It's not to late to sit out on the patio and drink one of these heavenly beers! No worries, this doesn't even taste like a beer. So what's in this drink that just makes it so heavenly? and the rest Blue Moon Beer. 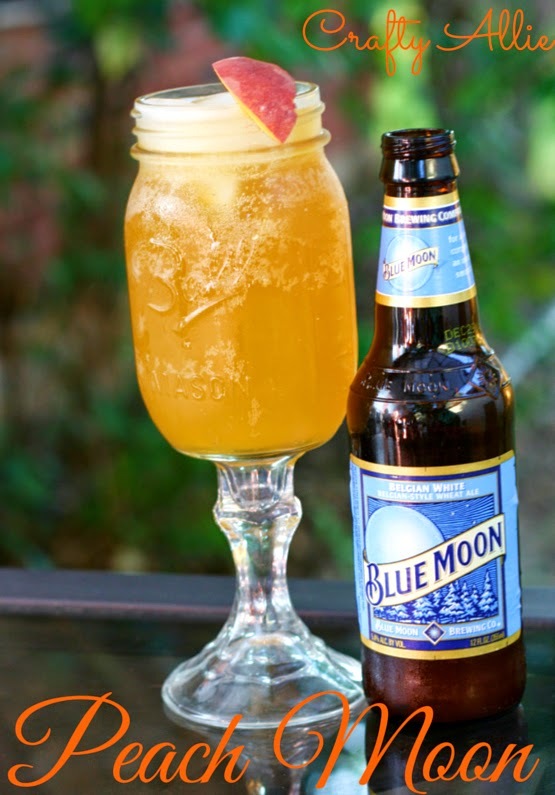 And yes thats really it, garnish it with a peach or orange slice and a cute glass like my redneck wine glass, and now you're ready to sit out on your patio and enjoy! Even men will like this drink! This is perfect weather too, not to chilly and not too warm! I love Blue Moon, and I love peaches. I need to try this! You've got me at Peach Schnapps!!! Sounds great, I will have to give this a try. Thanks for coming by to linkup this week. This sound and look so good and refreshing! Yum! I don't like beer, but I do like peaches! Maybe I would like this. It sounds really good! Thanks for linking up with Hump Day Happenings this week. 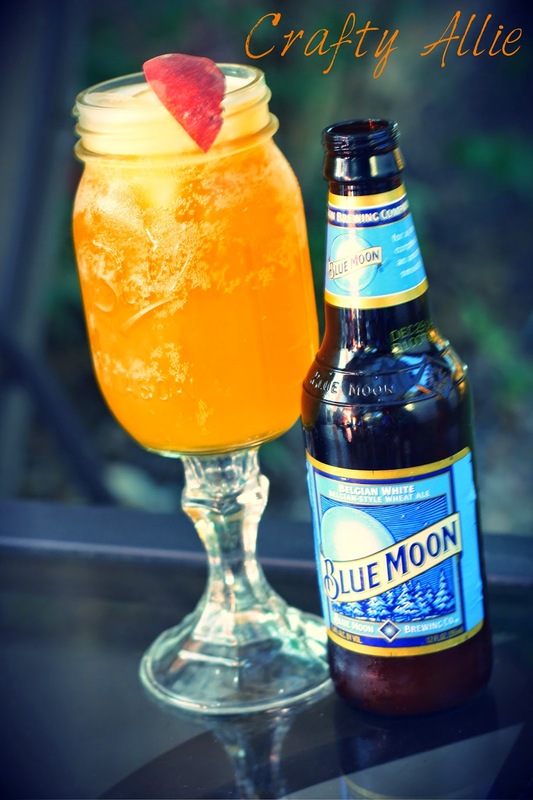 Peaches and Blue Moon!?! Ummm Yes PLEASE. I have to try this. My party ladies and I would love if you linked this post up with us over at Mommy Needs a Timeout Thursday. We go live at 8pm EST. Hope to see you there! I'm not a beer fan and I may give this a try since it doesn't taste like beer :-) Thanks for sharing on Merry Monday.